Welcome to the top rated DUI defense firm in Southern California. Hart Levin has been rated among the "Top 5 DUI Defense Attorneys in Los Angeles." We are so well known and our reputation is so good for one simple reason: we are the best at what we do. We use our expertise in the law and strong relationships with judges and local prosecutors to achieve stunning results, case after case. Why choose Hart Levin? Super Lawyer & Rising Star 2014-2018 Avvo Clients' Choice Winner 2012-2018 Avvo Attorney Rating of 10.0 and "Superb" Top 100 Trial Attorney by the National Trial Lawyers Association Former Deputy District Attorney for Los Angeles Voted the Top DUI Attorney in Los Angeles Voted "10 Best in Client Satisfaction among Criminal Defense Attorneys" Legal Acting coach for NBC and CBS crime dramas Criminal Law Advisor to CNN, Fox News, CBS, NBC and the LA Times. Hart Levin will be personally handling your case...he will not hand it to some inexperienced attorney like many other firms. As a former prosecutor, Mr. Levin literally has the playbook for the other side. Finished first in his law school class in Criminal Law as well as Criminal Procedure Recent Client Testimonials: "He's not just good...he's the best" (Client Brian B.) "Hart literally saved my life. My family and I are forever grateful." (Client Richard S.) "Mr. Levin is a superstar in court. Worth every penny and then some." (Client Jeff G.) Recent Case Results: Felony DUI Dismissed - Van Nuys Court 3rd and 4th Time DUIs negotiated without any jail time - East LA Court Misdemeanor DUI - Dismissed at Metropolitan Court Reckless Driving - Dismissed at the Torrance Court Take the first step towards your freedom by calling now. I am reachable 7 days a week, 24 hours a day at (310) 935-3100. Former LA Deputy District Attorney specializing in DUI and criminal defense. We are a top-rated defense firm serving all of Southern California. As a deputy district attorney, Hart Levin personally handled over 3,200 criminal cases, 1,100 DUIs, and had one of the highest win-percentages in the entire county. As a defense attorney, Mr. Levin is using his expertise and strong ties to local judges and prosecutors to deliver stunning results for his clients, case after case. Our cases and closing arguments have been featured on the Tonight Show with Jay Leno, NBC, CBS and FOX. We will work with the client to ensure work is divided in a cost effective and efficient manner. Experience, expertise and personal attention. Our clients know that we are here for them 24 hours a day and we fight tirelessly for their interests. The more educated the client is about their issue, the better they are able to communicate with us, helping us achieve better results. Hart Levin is a former Los Angeles County Deputy District Attorney and civil associate. 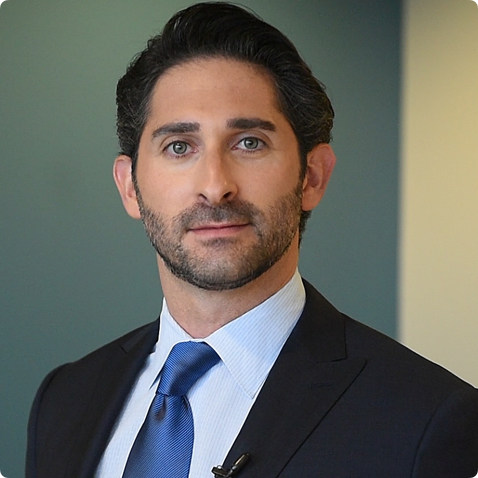 Martin Katz is an AV rated civil litigator. They have a combined 50 years of courtroom experience and expertise.